Nubsio is a Windows plug and play USB interface to connect your PC to the external world and control electronic devices with any .NET languages. Communicating with a temperature sensor, an EEPROM, a graphic screen or an 32x8 LED matrix using the SPI or I2C protocol is similar to using an API over TCP socket. Nusbio uses plug and play extensions ready for programming. 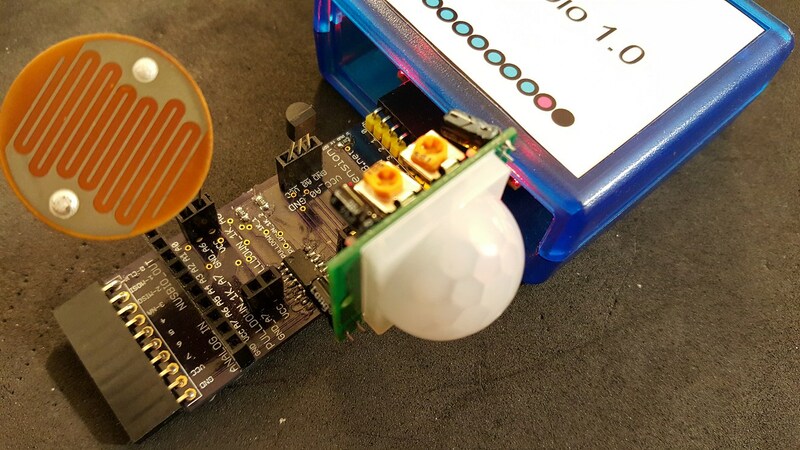 You can start with a minimum knowledge in electricity and no need to solder. 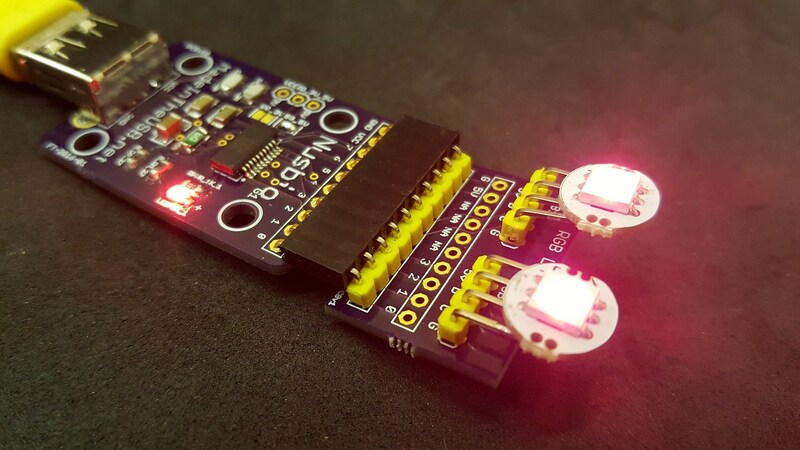 Start programming hardware by learning how to control RGB LEDs and the SPI protocol. Learn about shift register, the MAX7219 chip, multiplexing and the SPI protocol. It's not that hard, if you know how to write code you can do it. You can control from 1 to 4 8x8 LED matrix chained together. This is a 128 x 64 pixel, black & white, 0.96 inch graphic screen (AKA OLED). Programmable using the SPI protocol. Our open source sample library support 2 chips: the SH1106 and SSD1306. Implementing new driver for other graphic screen is good exercice in term of datasheet reading, bit transfer optimization. It is doable. Learn about Liquid Crystal Display, the Hitachi hd44780 standard, 16x2 or 20x4 columns/rows. We also support i2c LCD. With the Analog Extension, talk to 5V analog devices like a light sensor, motion sensor or a temperature sensor. You can control 8 digits with one MAX7219 and up to 64 digits with 8 MAX7219 chained together. PowerShell can do it too! F# can do it too!